You may remember Ally and Ian’s wedding from back in 2012. 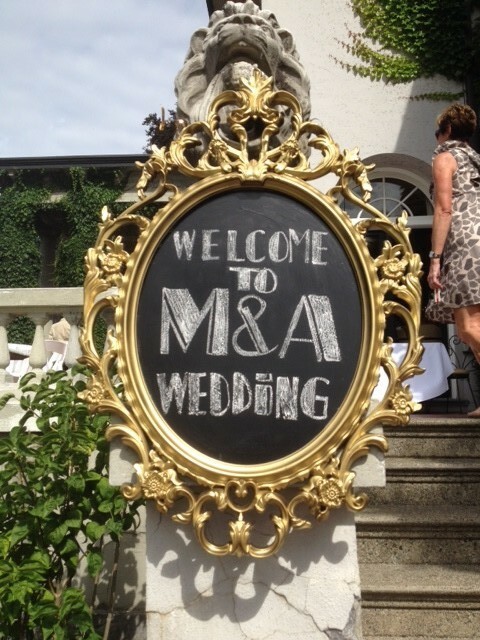 When I first saw their ornate chalkboard sign I immediately had to pin it on Pinterest. The frame in the photo was very familiar to me, but I couldn’t place or tell you why. Later that day, I received a message from a fellow pinner saying “It’s a mirror from IKEA $20 painted with chalkboard paint.” I was so excited after receiving that message that I couldn’t get to IKEA fast enough. When it comes to DIY projects I want easy, cheap and quick with an end product that looks expensive, store bought and posh. This DIY project has met its match! 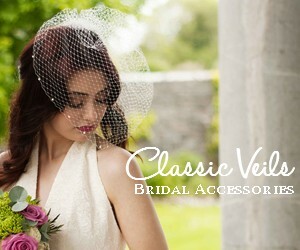 Chalkboard signs are sill hugely popular and are a great communication tool for your guests. Take a quick read through my DIY tutorial on how to make an ornate chalkboard sign for your wedding day. Tip: Most glass and mirrors come out of their frame quite easily. With this IKEA frame, I felt that if I bent the metal pieces that hold the mirror in backwards, they might break off. So I decided to keep the mirror in the frame and paint around it. Step 1: First, cover the black frame in painters tape. I originally didn’t do this because I thought I could get away without it. Take it from me, cover it properly using the tape. Then cover the rest of the frame with scrap paper. Step 2: Paint the mirror with one coat of primer. I bought a spray can of primer but still needed to use a paint brush to touch up the edges near the frame. Step 3: Let the primer set and dry. 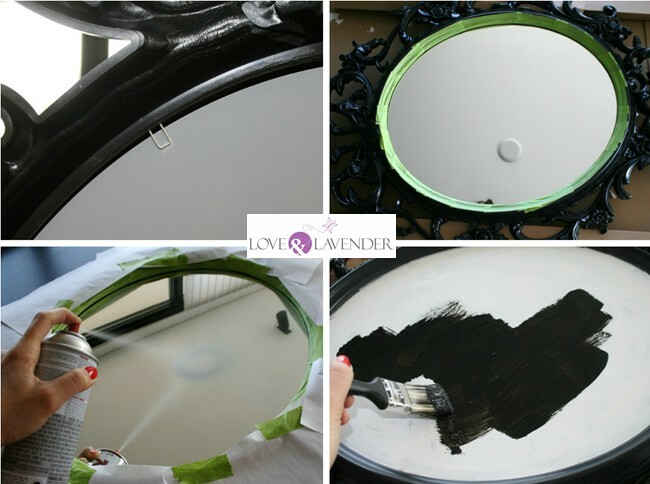 Step 4: Using chalkboard paint, add a thin layer of paint to the mirror. Let the paint set and dry for an hour and and then paint on another coat. 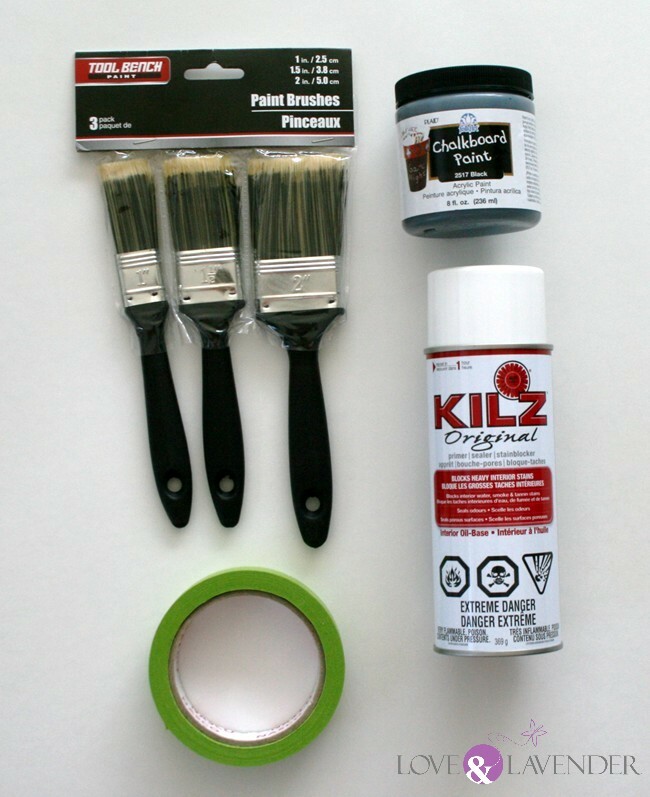 For a smoother looking finish, you may want to use the spray can of chalkboard paint instead. 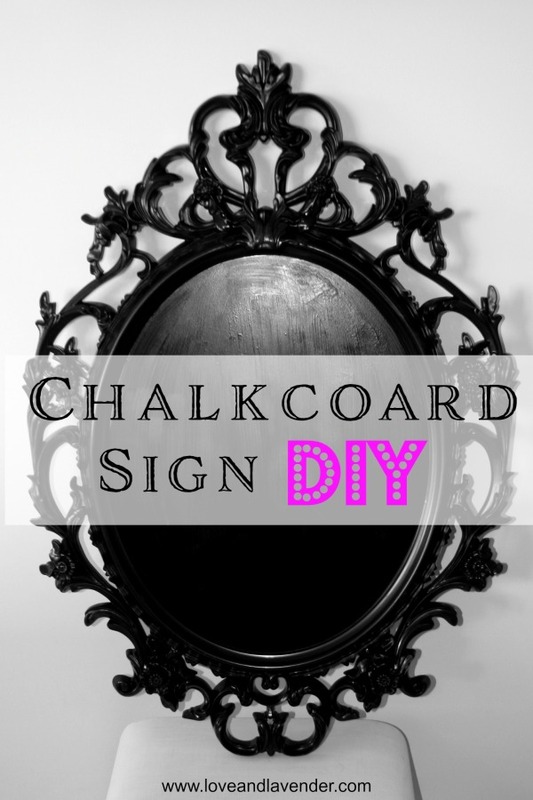 Step 5: Once dry, peel tape away and voila – you have made a cheap and posh ornate chalkboard frame! Tip: When you go to write on the chalk board, wet the chalk first. This will brighten and make the color stand out more, it will also make the lines thicker and cleaner. In between words, keep wetting the chalk. Here is the finished product from my wedding day. I took it one step further and painted the frame gold. Keep in mind all the supplies can be used again for other projects.